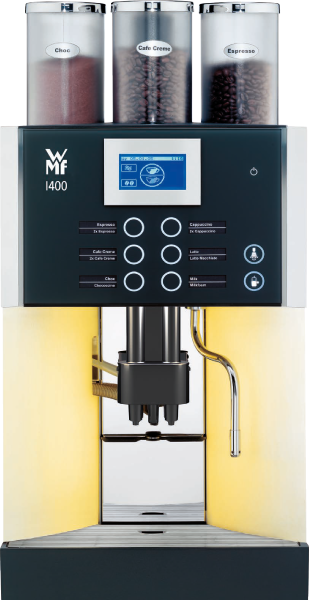 The WMF 1400 has won over thousands of satisfied customers over the years. Its outstanding value for money, slimline construction, award-winning design and, last but not least, its reliability have all contributed towards its success. 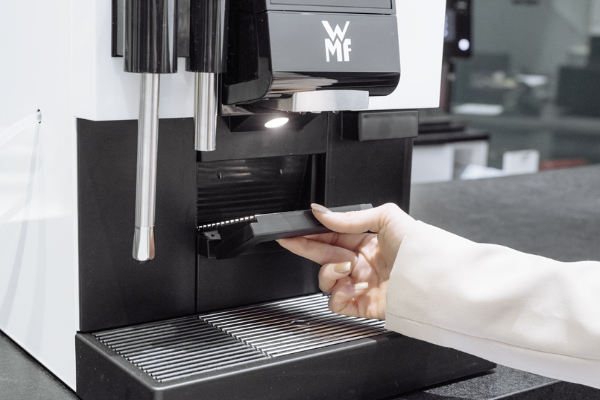 However, its consistent design for average coffee requirements – which doesn‘t compromise on comfort, beverage diversity or beverage quality – has made the WMF 1400 a global bestseller. For espresso, after the initial extraction there is a preinfusion and postextraction; café crème, on the other hand, is brewed directly. Factors like these are stored in 5 quality levels, freely selectable for each coffee. Elegant by day and a shining example of attractive design ideas by night. Key labelling is as simple as product allocation. Just print out and press on a new label. 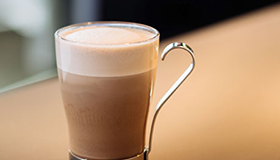 With plenty of fresh milk nearly any creation can be made from milk, coffee and chocolate. All milk-carrying parts are easily cleaned with the patented Plug+Clean.